MN Eye Hospital Scientific paper- RNFL Analysis using SD OCT on normal Indian adults was accepted for presentation at the American Society Of Cataract and Refractive Surgery Conference 2014 at Boston ,USA . Our Academic and Research Director Dr. Murali Ariga presented the Paper. In order to increase awareness about Glaucoma, the silent irreversible blinding disease the World glaucoma association has decided to observe March 9-15 as World Glaucoma Week. During the week awareness events are being held all over India in coordination with the Glaucoma Society of India. In Chennai M.N.Eye Hospitals, Tondiarpet & Adyar and Chennai Glaucoma Foundation (a unit of Swamy Eye Clinic, Villivakkam) have organised a Human Chain near Gandhi statue, Marina Beach from 7am-9 am. Doctors, staff and Optometry students will assemble to increase awareness about this disease. DGP Mr Sekhar and Actress Ms Revathy have kindly consented to be the Guests of Honor for this event. Dr Madhivanan Natarajan Chairman of M.N. Eye hospital and Dr ChaliniMadhivanan Medical Director will welcome the gathering. Dr MuraliAriga, Director and Consultant Glaucoma Clinic would highlight about the disease including risk factors, causes and treatment. Dr Nirmal Fredrick, Secretary Tamil Nadu Ophthalmic Association highlighted the importance of early diagnosis and regular followup. Glaucoma specialists from SankaraNethralaya, Govt Ophthalmic hospital, Sundaram Medical Foundation, SRMC and many city hospitals participated in the rally. M.N. Eye Hospital Pvt. Ltd. conducted Glaucoma awareness campaign during World Glaucoma Week (March 6th to March 12th) by organizing a peace Human Chain against Glaucoma Blindness in Elliot’s beach, Besant Nagar on March 8th. This day also being International women’s Day, there was an emphasis on the role of women power against blindness. This event was inaugurated by Mrs. Akkama Krishnamoorthy, Former President of Andhra Mahila Shaba. Thiru. Charuhasan, Mrs. Komala Charuhasan were the guests of honour. Dr. Madhivanan Natarajan and Dr.Chalini Natarajan coordinated this event. Dr. Murali Ariga, Glaucoma Consultant briefed the gathering about the seriousness of Glaucoma and stressed on the need to increase awareness about glaucoma.Your browser may not support display of this image. 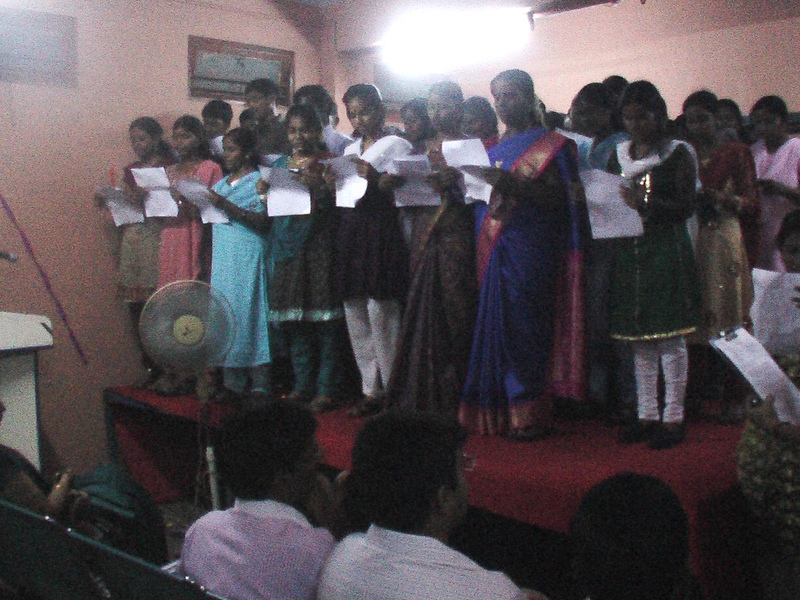 More than 300 people actively participated in this event including students of M.G.R Janaki Women’s Arts College, Members and special children of Andhra Mahila Shaba, Members of Avai Kalai Kazhagam – Ladies wing North Chennai, Members of Nadar Mahalir Sangam, Staff and Students of M.N. College of Optometry, Manimegalai Amity social services, Doctors and Staff of M.N. Eye Hospital and pharmaceutical companies like Allergan, Alcon, Cipla, Entod & Intas. Staffs of Kotak Mahindra Bank were also involved in this event. Our honourable Tamil Nadu Former Chief Minister Kalaigar Karunanithi's scheme "Kannoli Kappom Thittam" for school going children is carried out through out schools 2009- 2010 & 2010-2011. Dr.Madhivanan Natarajan was honoured by Lion. Balakirshnan for conducting free eye screening camp and cataract surgery for "Public Police Friends' Assosiation". Dr.Madhivanan Natarajan received -"Dr.Daljith Singh Award" for the best recognised phaco surgeon on July 10th 2010 conducted by IOL implant society of India. He was honoured by Tamil Nadu state Minister for Telecommunication Mr.A.Raja. Camp Manager Mr.Velan was recognised for his service in running free Eye Cataract Camp and was honoured by AR Kalai Mandram" - Tondiarpet, Chennai, on July 18th 2010. M N College of Optometry celebrated its Graduation ceremony on Dec. 17th 2010 for its first B.Sc batch and course completion for the first batch of Dip. in Ophthalmic Technology. Dr.Mayil Vahanan Natarajan, The Vice Chancellor of Tamil Nadu Dr.MGR Medical University was the honourable Chief Guest and Dr.Babu Rajendhran, Medical Director of The Eye Research Foundation & The president of All India Ophthalmological Society, felicitated the function. 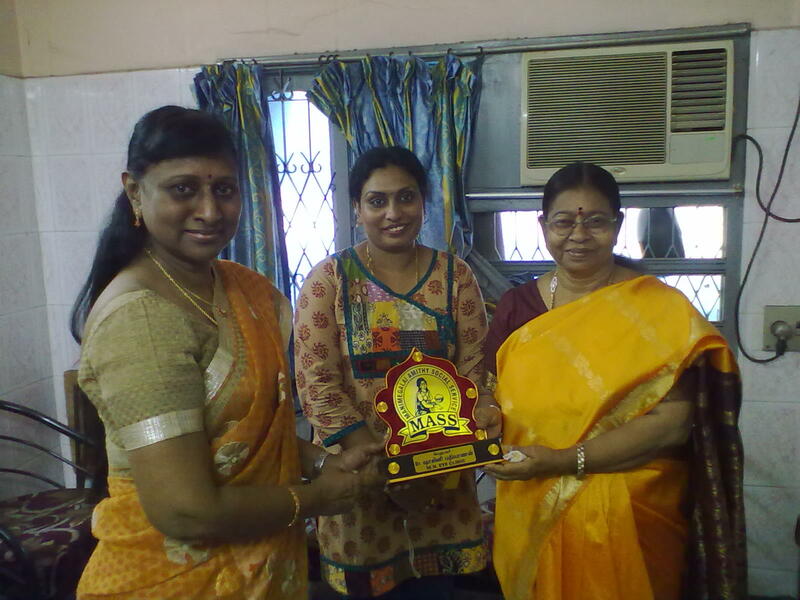 Dr.Chalini Madhivanan was awarded "Sadhanai Virudhu" (Honour for Triumph) by Chennai Nadar Mahajana Mahaleer Sangam on Jan 16th 2011 on recognition of her bravery and mount of achievements in her life time. Dr.Madhivanan Natarajan & Dr. Chalini Madhivanan, pioneers then, leaders now conducted mega Cataract Surgery camp with their team of doctors at Melvaruvathur on Jan29th & 30th 2011. 2500 patients were screened and 1004 patients underwent cataract surgery with IOL implantation successfully. AIOS-All India Ophthalmological Society conducted its 69th conference for all Indian Ophthalmologist at Ahmadabad from Feb 2 to 6. Dr.Madhivanan Natarajan was chairing the session on Essential Tip for Practice Management. Dr.Chalini Madhivanan conducted seminar on "Tip, Tricks & Trap in Ophthalmology". CIPLA conducted PAT certificate class for all M. N. Eye Hospital OP & OT nurses on Aug 11th 2011. Doctors also participated. They were taught on Patient care, Sterilisation & Cleanliness, personality and communication. .
Mrs. Surguna Pandian, ex MLA, presented "Manimegalai Amithy Social Service" award to our Dr. Chalini Madhivanan on Aug 11th 2011. Mrs.Shyamala the President of Manimegalai Amithy Social Service was also present while giving away the award. TNOA-2011 was held at Tirunelveli. More than 1000 doctors attended this open meet for Ophthalmologist in Tamil Nadu. Dr.Madhivanan Natarajan, the Chairman with his team of consultants conducted the Instruction course on Phaco Emulsification under the title ''Phaco the way to Go'. 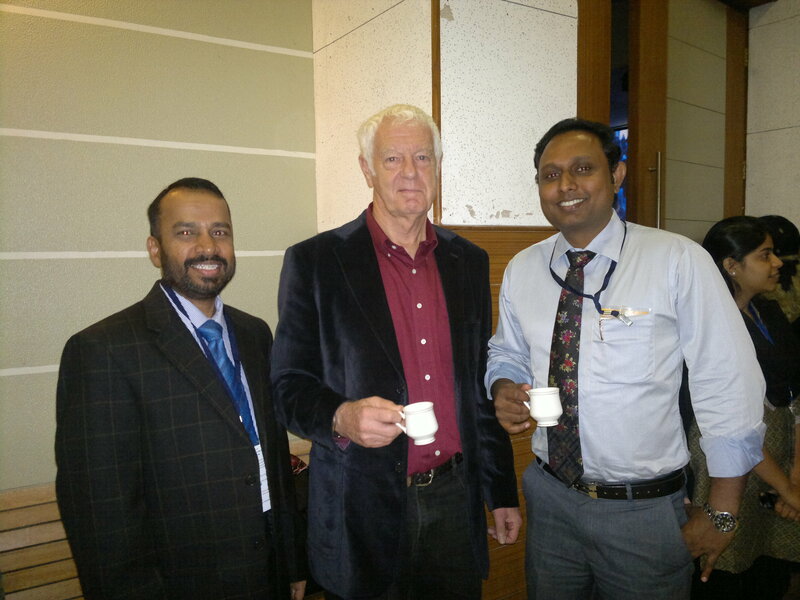 Dr.Ravi Kumar, Dr.John Benno, Dr.M.Nivean and Dr.Priye Suman Rastogi were the speakers in this programme. Dr.Chalini Madhivanan, the Medical Director was a panelist on the Symposium which covered the topic 'Pearls of Astigmatic Correction' & ' Refractive Surgery Present & Future'. Dr.M.Nivean, the Academic Director was moderating the session on Ocular Trauma and his talk was on 'Classification of Ocular Trauma'. The other doctors who presented papers at TNOA from M.N.Eye Hospital were our DNB students, Dr.Vineeth Bhimshetty and Dr.Kshitija P Mule. 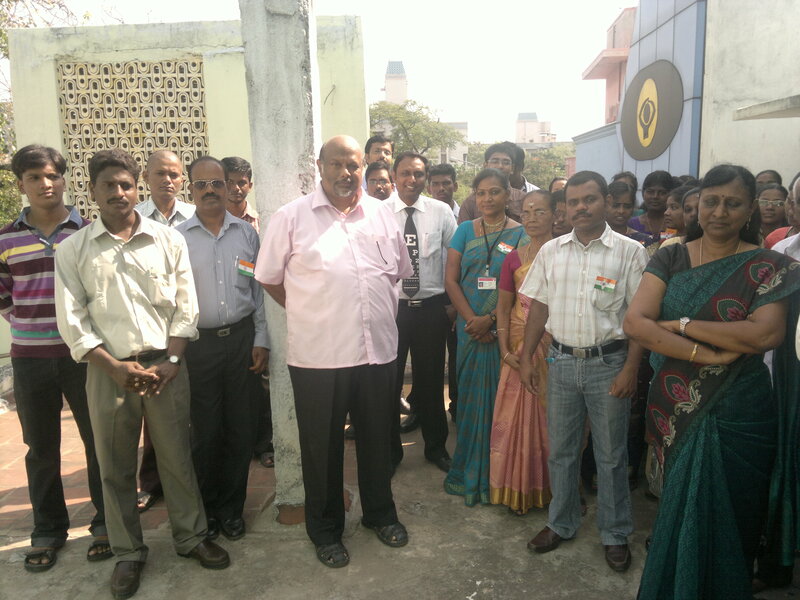 M.N.Eye Hospital celebrates Independence day every year since its inception. As per their usual custom this year too the National flag was hoisted by one of their senior staffs followed by the Directors' addressing their staffs. Sweets and special lunch was served to all staffs to cheer and honour their dedication at service. Dr.M.Nivean, Vitreo Retina Consultant & Academic Director represented M.N.Eye Hospital to take part in the on going CME series jointly organised by Aditya Jyot Eye Hospital. Pvt. Ltd., M.N.EyeHospital Pvt. Ltd. & Narayanan Nethralaya. In this event on July 31st 2011 Aditya Jyot Institute of Vision Sciences & Research conducted the workshop on High Speed Vitrectomy & Modern Ophthalmic Surgery under the title 'The Ophthalmic Convene. The 4th Margazhi Ophtha Fest a yearly Ophthalmic Conference of M.N Eye Hospital, Chennai, was held on 13th of December 2014. This unique Conference had many highlights such as didactic lectures by experts covering the latest advances in ophthalmology, wet lab session for hands on skill transfer in phacoemulsification, retinal lasers, implantable phakic contact lenses and PDEK (pre Descemet’s stripping Endothelial Keratoplasty) surgery. For the 1st time in South India this conference showcased 3D Live Surgeries in the field of glaucoma, Phacoemulcification, vitrectomy and the latest techniques in refractive cataract surgeries. 3D live surgeries will be the medium of knowledge sharing in the near future and this conference gave a taste of this to all the Ophthalmologists. In this event more than 300 Ophthalmologist from TamilNadu, Andhra Pradesh, Telungana, Karnataka, Kerala and Puduchery witnessed the 3D Live Surgery and interacted with the Surgical and Technical Teams. This conference was organised by the team from M.N Eye Hospital under the guidance of the Academic Director Dr.M.Nivean. Leading Surgeons from Agarwal's Eye Hospital, Rajan Eye Care, Sankara Nethralaya, Regional Institute of Ophthalmology and Government Ophthalmic Hospital and other Medical colleges witnessed this 3D Live Surgery with great interest and appreciation. Dr.M.Nivean says 3D Ophthalmic Surgeries is set became the routine method of eye surgery training and viewing in the near future.